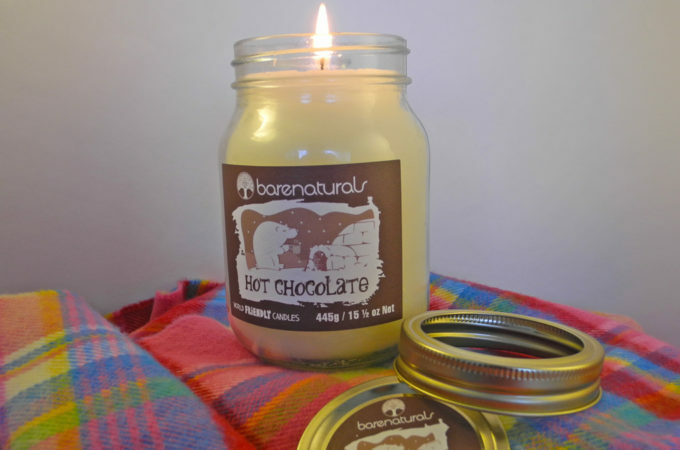 Update March 28, 2018: This candle is now available on Kickstarter. Until now I’ve known about two types of candles: wax candles with wicks that you light with a match, and LED “candles” that you switch on with electricity. I never imagined that the two types of candles would combine into one within my lifetime. 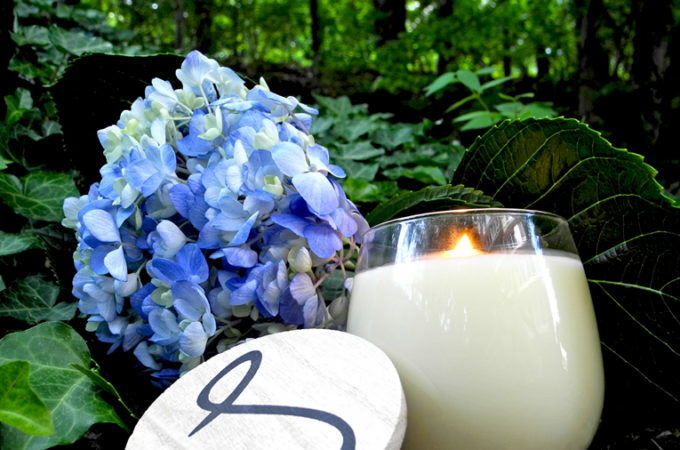 But that’s exactly what the Sinfonia candle is. 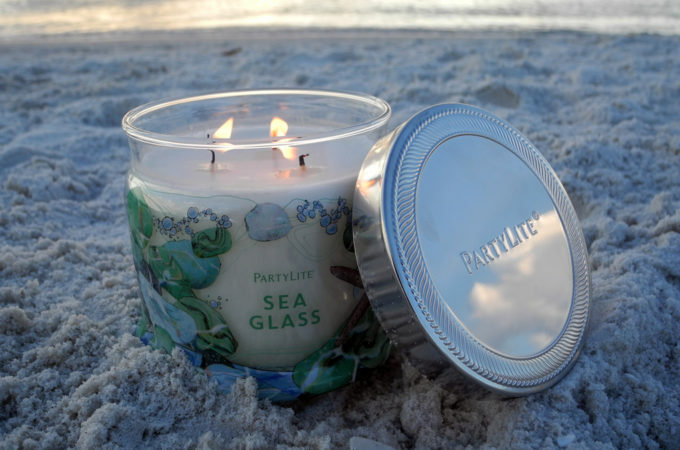 It’s got a scented (“rose” or “ocean”) paraffin wax body with a central wick, and a battery cell at the base that powers up when you light the wick. 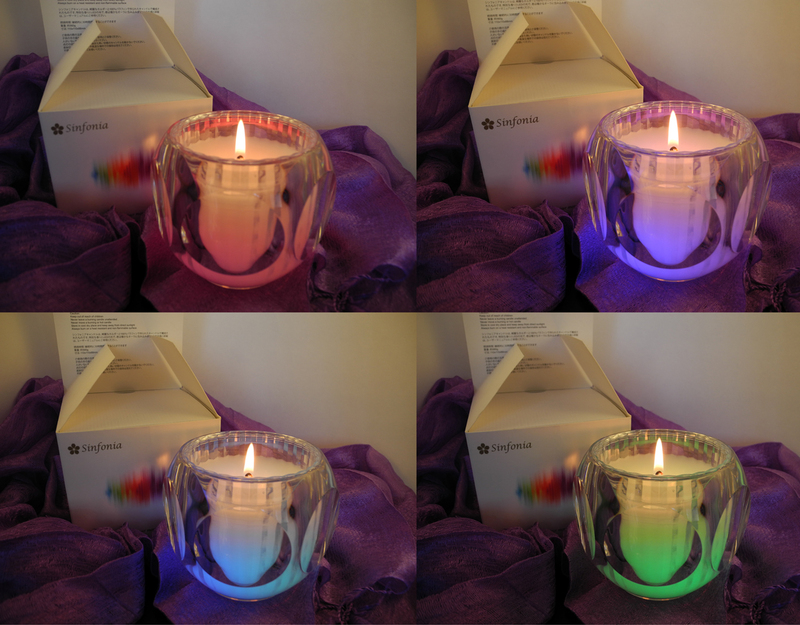 As the candle burns, the LED rotates through a rainbow of colors, visible through a crystal clear votive. My Sinfonia candle came all the way from Hong Kong. It was assembled at Innohub Global Limited, one of those nondescript manufacturing companies that remind me most of the things I own were probably made at a factory in Asia. 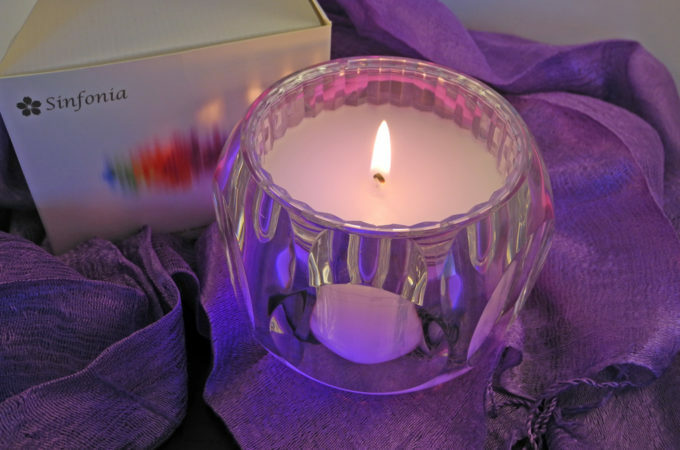 They specialize in electronics and plastics (the votive is made out of flame-retardant plastic), so this LED candle was a natural extension of their expertise. As far as I can tell, it is the only candle they offer. It was hard to believe that this product works the way they say it does—until I lit my rose-scented Sinfonia and it immediately launched into a light show. I’m not entirely sure of the science behind this thing, but I’d guess the heat the wick conducts is enough to power the battery at the base of the votive. Now for the elephant in the room: is this product dangerous? I remember from school that if you light a lithium battery on fire, it will release fumes that are toxic if inhaled. 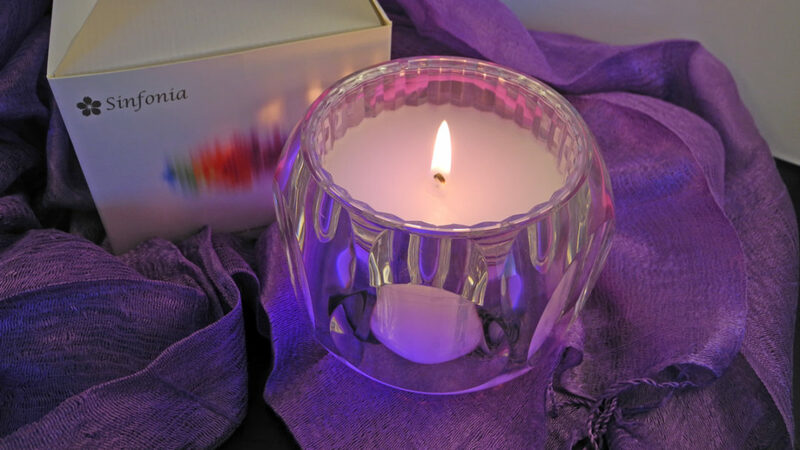 That’s probably why the Sinfonia candle comes with this warning: “Do not relight the candle once only 3cm of wax remains and the wick base becomes visible.” I would strongly suggest following this advice. Once your Sinfonia candle does burn down that far, you can replace the interior with a new paraffin block scented in “rose” or “ocean.” According to Sinfonia, one refillable wax block should last for 30 hours of continuous burn time, which seems pretty standard for a paraffin block of this size. 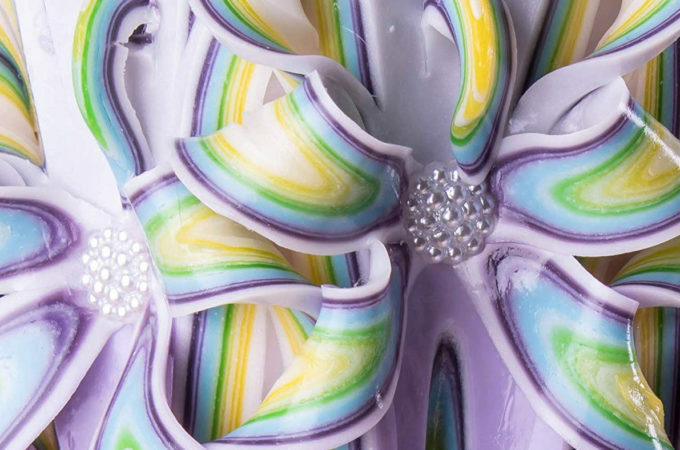 In my opinion, the scent of the wax is less noticeable than the color-changing gimmick. 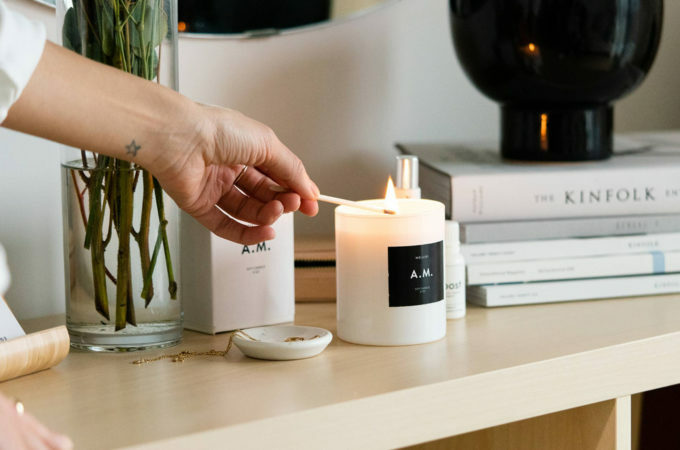 Let’s be honest: if you get this candle, you’re buying it more for the mood lighting than for the scent. Sinfonia is a very new company—their press release says they launched in spring 2017, but they didn’t have much internet presence until late 2017—so when it comes to judging its quality or safety, you’ve got two sources: their site, and this post. So far, I’ve burnt it twice with no issue, though I would definitely never leave it (or any candle) unattended. 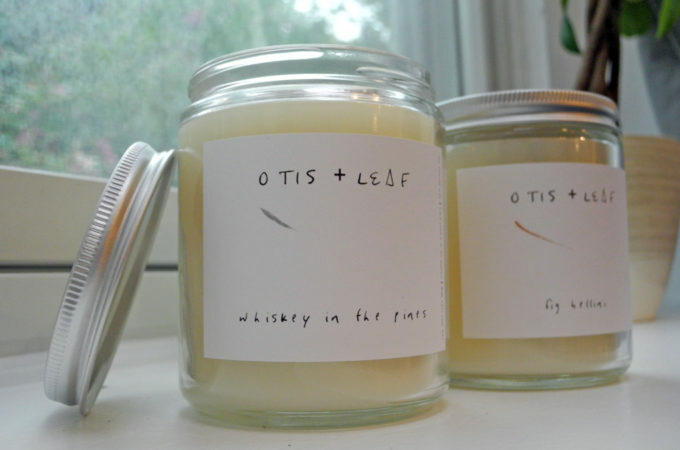 This candle is now available on Kickstarter.